A luxury styled Ochre brown glass basin in a high polished finish. 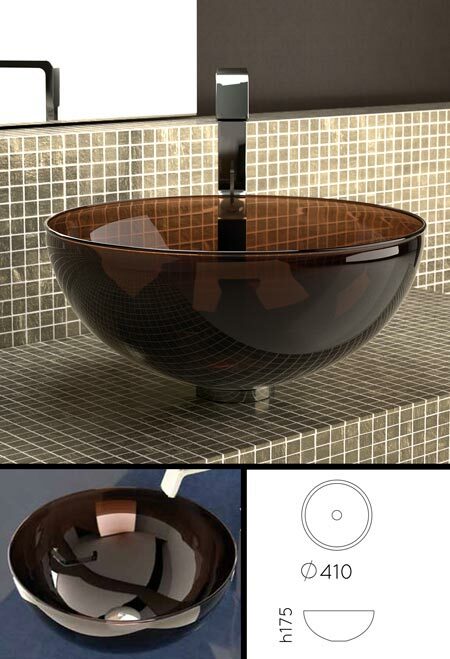 This round glass sink is Italian designed and ideal for designer and luxury bathroom design. Each brown glass sink is tinted and slightly transparent which works as a lovely design feature. Please note this glass sink includes the polished mounting collar and the basin waste. * Beautiful glass sink design. * Includes waste & collar.